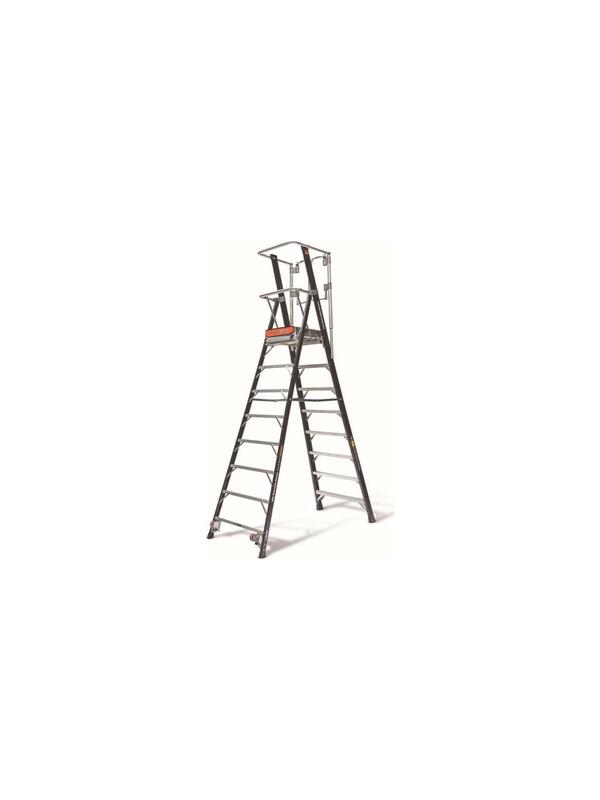 The Safety Cage Ladder is available in 4, 6, 8, 10-foot sizes (platform heights of 2, 4, 6, and 8 feet). 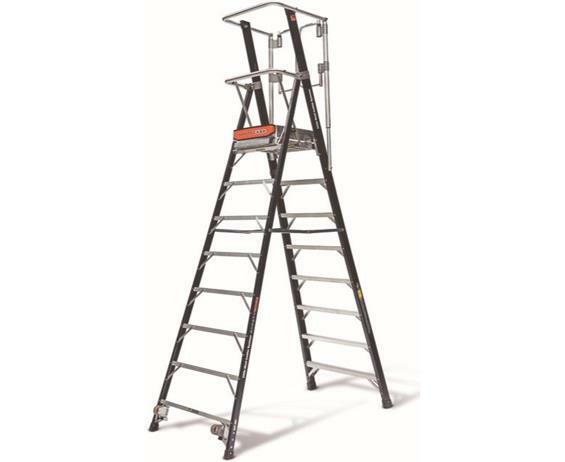 The Little Giant Safety Cage Ladder is a versatile, safe alternative to tying off. The Safety Cage allows operators to work hands-free in any direction in complete safety because, unlike platform stepladders, its “wrap-around’’ guardrail wraps completely around the operator in total compliance to tie-off rules. The Safety Cage features Little Giant’s patent-pending Ground Cue® bottom-rung signal, notifying the operator when he or she has reached the last rung. The Safety Cage is rated Type IAA –375 lbs. and stores in a slim, easy-to-carry profile. FOB Shipping Point. See Related Items tab for Planks & Accessories for Little Giant Ladder Systems.